If you are a TEACHER, PARENT, HOME SCHOOLER... ANYONE who educates young children... ...this is the place to find curriculum partnered with music for Pre-K to Elementary level children ! Hands on activities include subjects of classroom management, character education, environment, science, language arts, personal care and more. Use the activities to teach. Use the music to transition! 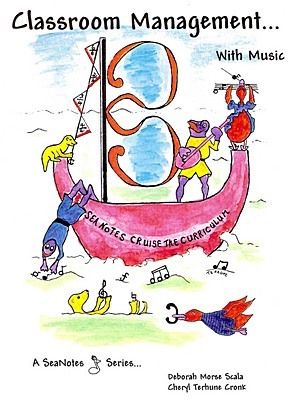 Program and activities designed by teacher, Deborah Morse Scala, with music by Cheryl Terhune Cronk. All in these super products. Take a LOOK and a LISTEN on the following pages! Demonstrate cultural diversity with these 3 activities ! In this booklet, you will learn how to make a class book, make a garden of graphs and celebrate Name Day ! Designed for Pre-K to second grade. A wonderful way to teach similarities and differences of all people ! 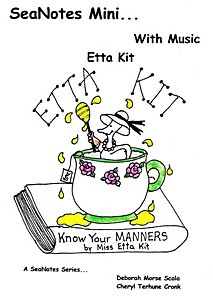 Help your kids with their social skills by teaching them proper etiquette. 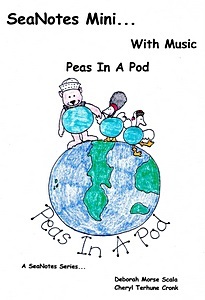 In this booklet you will find three multi-step activities that show you how - partnered with a song that gives the children an entertaining reminder ! Designed for Pre-K to second grade. 3 activities and one related song make up this mini package of environmental subject material for elementary school age children. 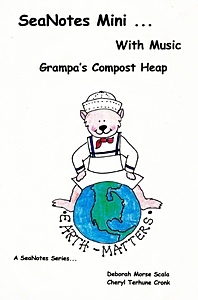 You will learn how to make your own compost pile, conduct an experiment and make worm jam ! Great for elementary school teachers, home schoolers and parents ! 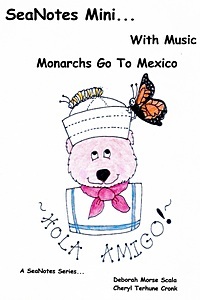 Teach the life cycle of the Monarch Butterfly for your next science project. 3 multi-step activities will have your students sounding like entomologists! I Need A Tissue Quick! 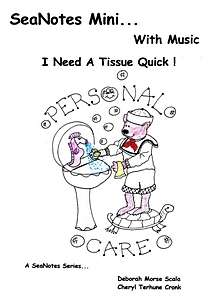 Enable kids with their PERSONAL CARE! Teach about germs with 3+ activities and a new song. Actively demonstrate to young children the way germs spread and how to avoid catching them! Designed for Pre-K to second grade. This is a SUPER tool for teachers and parents! 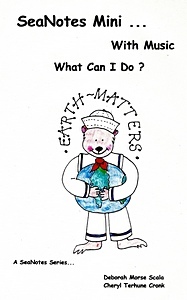 4 activities coupled with one related song from our Character Education...With Music series make up this mini package of environmental subject material for elementary school age children. You will learn how to be pro-active in helping the environment by creating a green scene, setting up a bird watching station and making feeders. Responsibility, trustworthiness, respectful behavior, caring, fairness and good citizenship - 6 pillars of character education taught through activities and music in this book and CD set ! 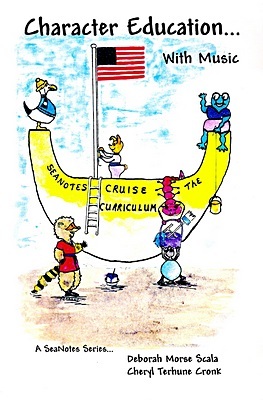 25 activities and 13 catchy songs help teach the invisible concepts of "character" to young children... pre-school through elementary grade level. No music training is needed! We still have hard copies of the Book/CD set for $24.95. Please contact us to arrange payment and shipping. Once you have purchased the book and CD set, you may want to use the FREE additional tools listed in the next slide. Simply print out as many as you need. Citizenship Gameboard – use with "I'm Talking About the USA"
Citizenship Certificate – use with "I'm Talking About the USA"
Lemonade Recipe – use with "Positive Attitude"
Dee Dee Star – use with "Do Good Deeds"
Proud to Be...questionnairre – use with "I'm Talking About the USA" or "Peas In A Pod"
Just click on any of the links above and save them to your computer ! This book and CD set contains 20 classroom management activities together with 12 catchy songs that are partnered with each group of activities. Reduce your lesson preparation time! Photocopy the "Copy and Cut-Out" pictures and hand them out to the students in order to work on the related activities. Keep children on task or cue them to the next activity using the songs on the CD while you remain hands free to work with the students. We still have hard copies of the Book/CD set for $29.95. Please contact us to arrange payment and shipping. Read this endearing collection of quotes straight from Deb Scala's classrooms and discover how kindergartners perceive their world...to the charm of the adults around them! Delightfully illustrated by Deb Scala. 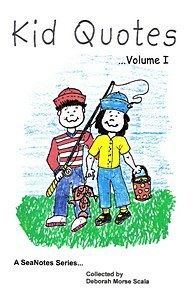 Makes a great gift for parents and grandparents ! We still have hard copies of the book for $11.95. Please contact us to arrange payment and shipping.